Prof Hawking often had a bleak outlook for the future of humanity, and regularly warned the planet is perilously close to destruction. The late theoretical physicist said on several occasions that humans need to find a new home, as Earth has shown that it is entering its final phase. Speaking at the Oxford Union in 2016, Prof Hawking said: “We will map the position of millions of galaxies with the help of [super] computers like Cosmos. We will better understand our place in the universe. “Perhaps one day we will be able to use gravitational waves to look right back into the heart of the Big Bang. “But we must also continue to go into space for the future of humanity. This was not the first time that the father-of-three has predicted the end for humanity unless space travel is conquered. In a book titled ‘How to Make a Spaceship: A Band of Renegades, an Epic Race, and the Birth of Private Spaceflight’ by journalist Julian Guthrie, Professor Hawking shared his thoughts in an afterword. The Oxford-born physicist wrote: “I believe that life on Earth is at an ever-increasing risk of being wiped out by a disaster, such as a sudden nuclear war, a genetically engineered virus, or other dangers. 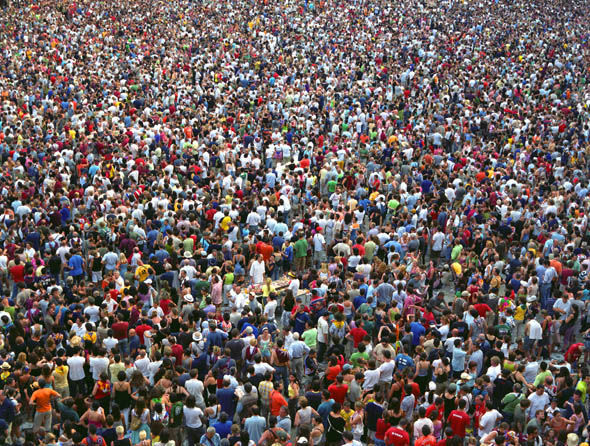 Professor Hawking has said that the huge population growth is a problem for our planet, and eventually the burden will be too much for the Earth to handle. He said at the 2017 Tencent WE Summit Earth: “By the year 2600, the world’s population would be standing shoulder to shoulder, and the electricity consumption would make the Earth glow red-hot. 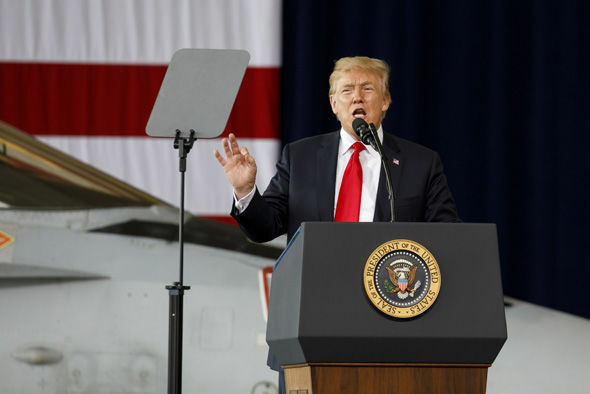 Climate change will also play its part in the destruction of Earth, says Prof Hawking, and said that certain world leaders, particularly Donald Trump, are contributing to the problem. 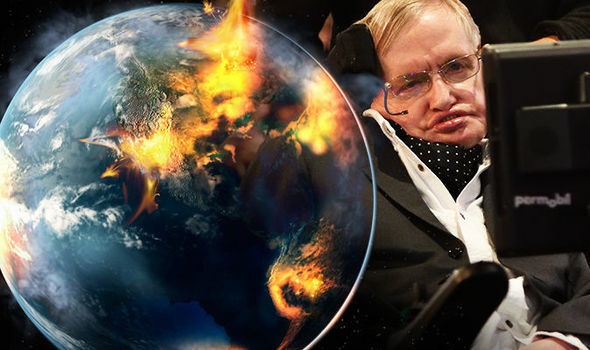 Professor Hawking said US President Donald Trump's decision to withdraw from the Paris Climate Agreement, has doomed Earth to one day become uninhabitable. "Trump's action could push the Earth over the brink"
Prof Hawking says in the show anyone who does not believe in global warming should do some research on Venus. 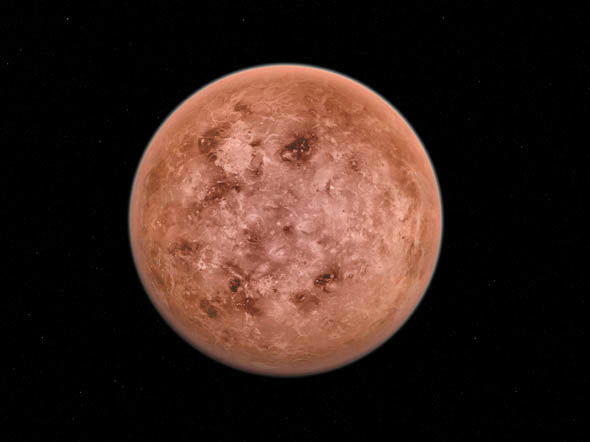 Venus, the second closest planet to the sun, was once Earth-like. But a build-up of greenhouse gasses in its atmosphere turned the planet into a boiling celestial body with temperatures of 250 degrees celsius and wind speeds of up to 100 metres per second. When President Trump pulled the US out of the Paris Climate Agreement last year, Prof Hawking said: "We are close to the tipping point where global warming becomes irreversible. "Trump's action could push the Earth over the brink, to become like Venus, with a temperature of two hundred and fifty degrees, and raining sulphuric acid. "Climate change is one of the great dangers we face and it's one we can prevent if we act now. Professor Hawking died aged 76 in the early hours of March 14. In a statement his children, Lucy, Robert and Tim said: "We are deeply saddened that our beloved father passed away today. "He was a great scientist and an extraordinary man whose work and legacy will live on for many years. "His courage and persistence with his brilliance and humour inspired people across the world. "He once said, 'It would not be much of a universe if it wasn't home to the people you love.' We will miss him forever." 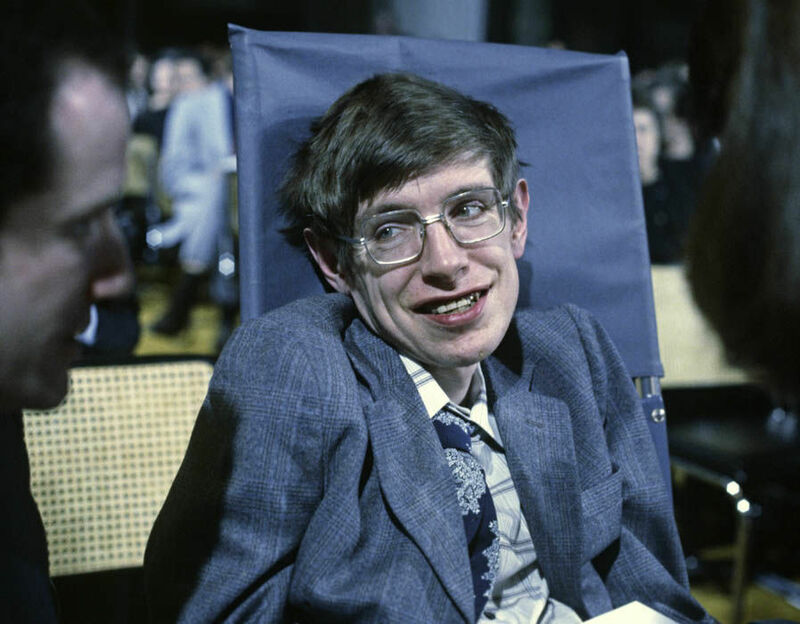 Professor Hawking suffered from a rate early-onset slow-progressing form of amyotrophic lateral sclerosis (ALS), also known as motor neurone disease or Lou Gehrig's disease. He was diagnosed with motor neurone disease in 1963 at the age of 21. Doctors expected him to live for only two more years, but he had a form of the disease which progressed more slowly than usual.